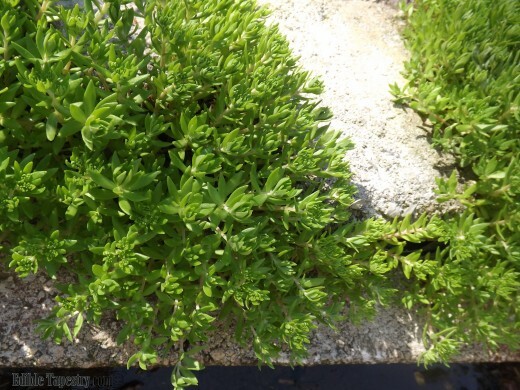 …and sedum exploding out from between the rocks that encircle the little pond in our farmyard. And this year, if we have a lucky duck, spring will bring us fuzzy little ducklings to run around with their parents, Mr. and Mrs. Bickerson. Our funny duck, who is really getting up there in age, starts laying every spring. We collect her eggs for fat, rich omelets and frittatas when the weather is still cool, but let her have seven or eight for brooding once we see that she’s gotten serious about it and Mr. Bickerson begins to get so territorial that cuddle time with us is over and we dare not enter the duck love shack. At this point she will quit laying and we won’t see another fresh duck egg until the following March. 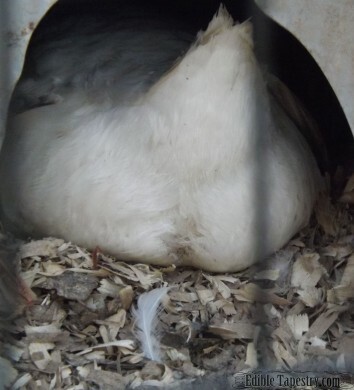 And, of course, once we start getting our hopes up that we will have Easter ducklings to snuggle, she quits brooding and abandons the nest. Not this year! I don’t know how they do it, since they don’t scratch like chickens, but this pair has taken every last flake of pine bedding we recently placed in the duck yard and piled it inside the little bin we have given them as a house under their covered shelter. We didn’t have ducklings for Easter, but she hasn’t quit brooding, either. And this year we saw something we’ve never seen before, Mr. Bickerson taking his turn sitting on the pile of eggs. I hope, I hope! 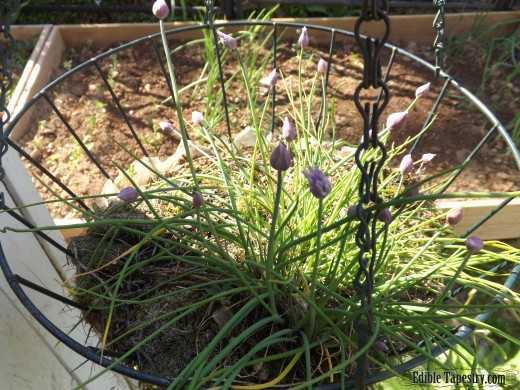 Each spring, when I look out at my garden and think there is just nothing ready to be harvested, I am surprised to find little bits here and there that comprise enough spring goodies to make an entire meal. 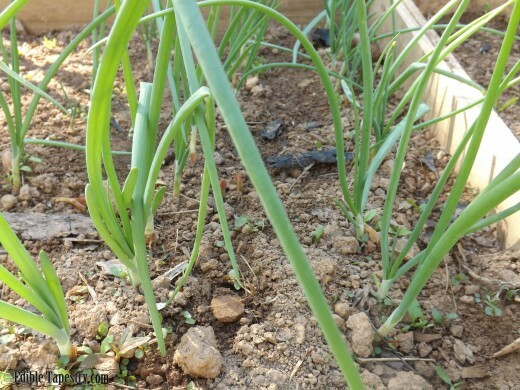 Usually that’s a quiche or frittata with those early duck eggs and the first herbs that pop up, but a little later on there are radishes and pea shoots, and lots of baby greens. Before I know it, I have a colander full of ingredients to make a fresh dinner salad. That is exactly how this dish came to be. 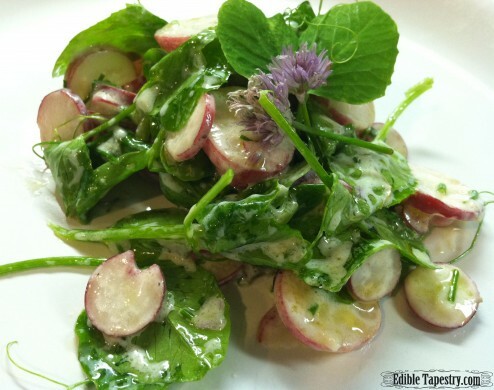 It’s a very light and tender salad that just tastes like spring. 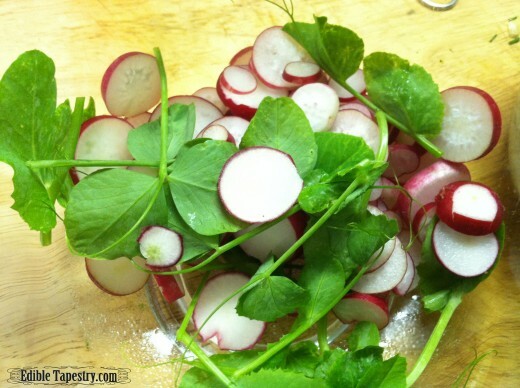 Toss together the pea shoots and radish slices. 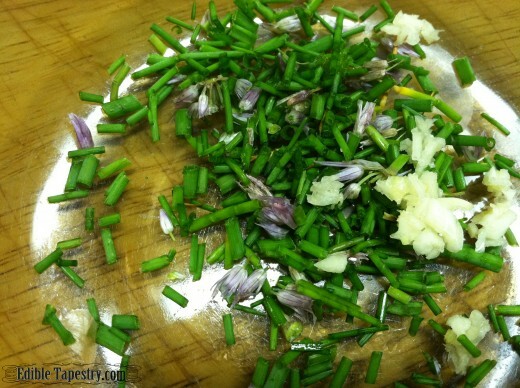 Combine the chives and garlic in a medium sized mixing bowl. Add the lemon juice and yogurt. Whisk together. 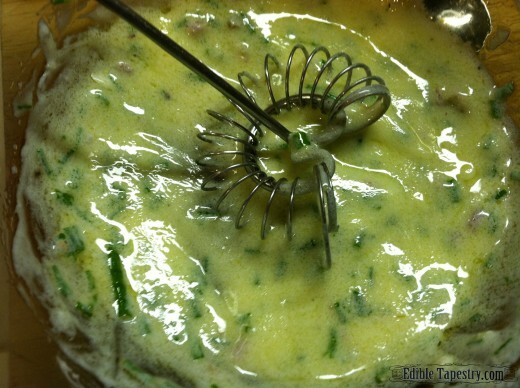 Whisk in the olive oil, quickly, to emulsify. 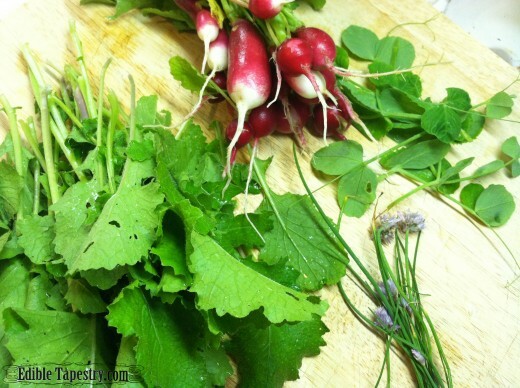 Toss the shoots and radish slices with the dressing and serve. « “Green Man Porter” ~ Easy to say, but still a mouthful.